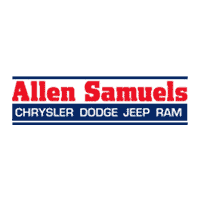 The BusinessLink program offered at Allen Samuels Chrysler Dodge Jeep Ram gives businesses from Nickerson and beyond exclusive perks, whether they have the Ram 1500, the Promaster Cargo Van, or any other commercial truck or van. This free program also connects your business with other dealers that can customize your fleet of commercial vehicles to the demands of your particular industry. In addition, we can connect you to upfitting services near Buhler that can customize your cargo van, truck, or other commercial vehicle, and we offer frequent discounts on accessories or service. How Do I Sign Up for BusinessLink? To find out more about BusinessLink, contact Allen Samuels CDJR of Hutchinson today. 0 comment(s) so far on What is BusinessLink?